A safe haven of affordable housing in the middle of a redeveloping neighborhood. The Bristol Apartments is a program-enriched residence offering a variety of classes and supportive services. Volunteer opportunities include tutoring, job coaching, event coordination, companionship, and various maintenance services (painting, cleaning, etc.). Please follow the link below to sign up and serve! Median household income in 2010 was $23,109, just 45% of the Douglas County median household income. Unemployment in 2010 was approximately 14.2%; this was 2.3 times the 6.2% rate found for Douglas County. Approximately 1 in 3 individuals (33.8%) were below the Federal poverty line; this rate is 2.6 times the 13.1% rate found in 2010 for Douglas County. Park Avenue has a renter occupancy of 77 percent; sits directly adjacent to a highway, an interstate, and the primary arterial in Omaha; is positioned in proximity to a new, mixed-used development and a large, attractive public park; and has had relatively low housing values, many with desirable construction styles representative of 19th century architecture. As a result of its attractive location and amenities, Park Avenue has become a focal point for redevelopment. What was at the time an under-resourced community with little investment or development has recently experienced a resurgence. This growth has proven to be a “two-sided coin” bringing with it both gains and challenges. 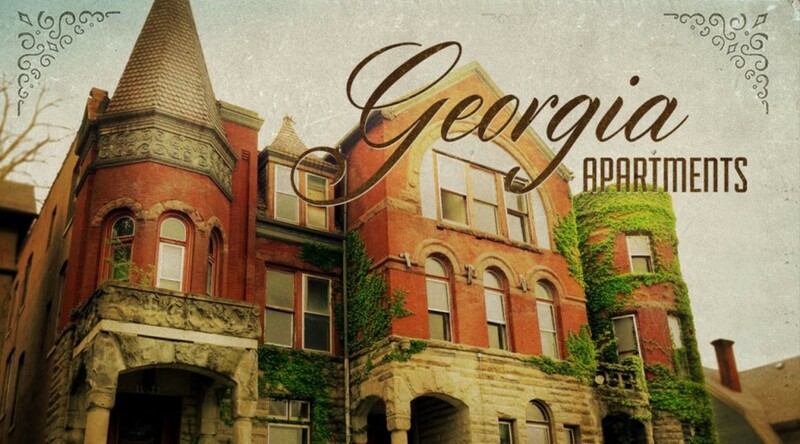 One of these gains has been the capital improvement of many older homes and apartment buildings, resulting in the attraction of middle-income residents to the area. Unfortunately, concurrent to these gains have been the displacement of existing residents who are forced to relocate as once affordable residences are converted into market rate units. As redevelopment continues to rapidly spread throughout the area, existing residents are oftentimes not only displaced from their original house or apartment unit but “priced out” of the neighborhood altogether. Although it is extremely difficult to track displacement data, inCOMMON estimates that approximately 200 individuals have been directly affected by the loss of affordable housing due to redevelopment since only 2012 (inCOMMON Affordable Housing Attrition Survey). During this same time period there have been no new affordable housing developments in this area. This has led to a strong fear of housing insecurity among residents living at or below the poverty line. In fact, in a random survey administered by inCOMMON, over 35 percent of the 143 respondents reported, “eviction due to redevelopment is a concern for me” (Community Needs Survey, 2014). Displacement of vulnerable residents resulting from redevelopment serves as inCOMMON’s primary motivation for real estate acquisition. Sullivan (2014) shows that particular populations, including low-income, elderly, disabled, and those without rent-stabilized apartments, are the most vulnerable to displacement. inCOMMON has been a first-hand witness of this phenomenon on far too many occasions. In addition to serving the basic humanitarian need of housing stability, inCOMMON’s investment in real estate strategically aligns with the organization’s overall goal of building capacity among low-income populations. inCOMMON programming – including GED, ESL, health education, employment support, and social service referrals – is made available “on-site” within the organization’s affordable housing properties. Accordingly, inCOMMON is able to leverage affordable housing in a way that not only houses low-income people but empowers them to transition beyond affordable housing toward self-reliance. Park Avenue has a renter occupancy of 77 percent; sits directly adjacent to a highway, an interstate, and the primary arterial in Omaha; is positioned in proximity to a new, mixed-used development and a large, attractive public park; and has had relatively low housing values, many with desirable construction styles representative of 19th century architecture. As a result of its attractive location and amenities, Park Avenue has become a focal point for redevelopment. What was at the time an under-resourced community with little investment or development has recently experienced a resurgence. This growth has proven to be a “two-sided coin” bringing with it both gains and challenges. One of these gains has been the capital improvement of many older homes and apartment buildings, resulting in the attraction of middle-income residents to the area. Unfortunately, concurrent to these gains have been the displacement of existing residents who are forced to relocate as once affordable residences are converted into market rate units. As redevelopment continues to rapidly spread throughout the area, existing residents are oftentimes not only displaced from their original house or apartment unit but “priced out” of the neighborhood altogether. Although it is extremely difficult to track displacement data, inCOMMON estimates that approximately 200 individuals have been directly affected by the loss of affordable housing due to redevelopment since only 2012 (inCOMMON Affordable Housing Attrition Survey). During this same time period there have been no new affordable housing developments in this area. This has led to a strong fear of housing insecurity among residents living at or below the poverty line. In fact, in a random survey administered by inCOMMON, over 35 percent of the 143 respondents reported, “eviction due to redevelopment is a concern for me” (Community Needs Survey, 2014). Displacement of vulnerable residents resulting from redevelopment serves as inCOMMON’s primary motivation for real estate acquisition. Sullivan (2014) shows that particular populations, including low-income, elderly, disabled, and those without rent-stabilized apartments, are the most vulnerable to displacement. inCOMMON has been a first-hand witness of this phenomenon on far too many occasions. In addition to serving the basic humanitarian need of housing stability, inCOMMON’s investment in real estate strategically aligns with the organization’s overall goal of building capacity among low-income populations. inCOMMON programming – including GED, ESL, health education, employment support, and social service referrals – is made available “on-site” within the organization’s affordable housing properties. 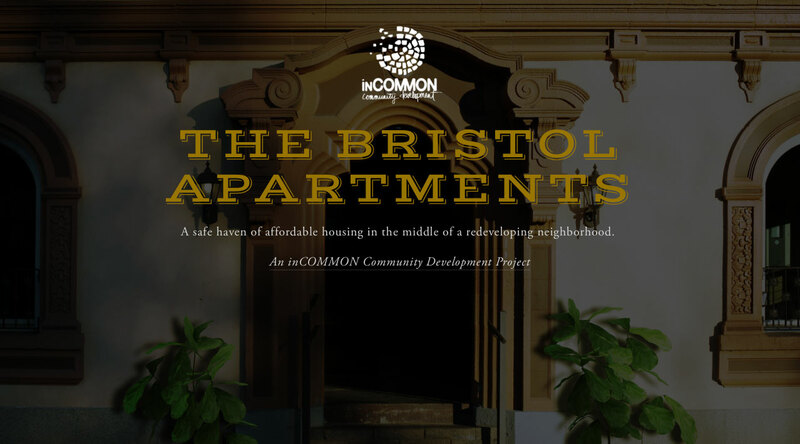 Accordingly, inCOMMON is able to leverage affordable housing in a way that not only houses low-income people but empowers them to transition beyond affordable housing toward self-reliance.